This wine has made the Wine Spectator Top 100 list twice! The 2016 does not disappoint! Mollydooker (Aussie for left-hander) Wines was established in 2005 by Sarah and Sparky Marquis and they've done nothing but receive rave reviews for their wines since then. The winery is on the prime Seaview Ridge in McLaren Vale, South Australia, and the vines are grown according to the Marquis Vineyard Watering Program to give the grapes the rich flavors that distinguish Mollydooker's wines. 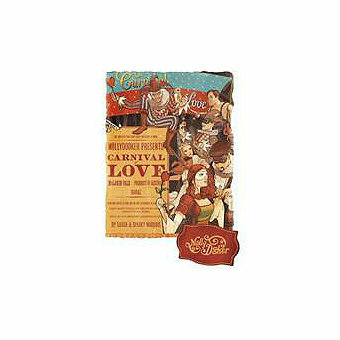 The Carnival of Love Shiraz is one of their best and has made the Wine Spectator's "Top 100" twice, the 2012 was #2. The 2016 Carnival of Love is an opulent celebration of McLaren Vale Shiraz. The grapes were grown on the Gateway vineyard in McLaren Vale, barrel fermented and matured in 100% American oak and 100% new. Wine Spectator scored this 93 points saying "Strikes the right balance between dense, dark flavors and a juicy, vibrant note. Apricot, cherry and raspberry flavors are pure, ripe and expressive, mingling well with Earl Grey tea, sarsaparilla and orange zest accents. The tannins are concentrated and a tad rustic on the finish, adding a charming chewy element. Drink now through 2027." and the Wine Advocate scored this 94 points saying "The full-bodied, opulent 2016 Carnival of Love Shiraz kicks off with scents of mint, raspberries, plums and dark chocolate. Those notes unfurl across the palate in slow-moving, velvety waves of flavor, picking up hints of anise, cinnamon and vanilla on the lingering finish. It's one intense, languorous rush of flavor and richness."